If you’re thinking about taking advantage of T-Mobile’s OnePlus 6T trade-in promotion, you’d better act fast. T-Mobile has revealed that its OnePlus 6T offer will end November 8. The support page for the deal previously listed its end date as “TBA”, but it’s now been updated to show that the offer will end tomorrow. 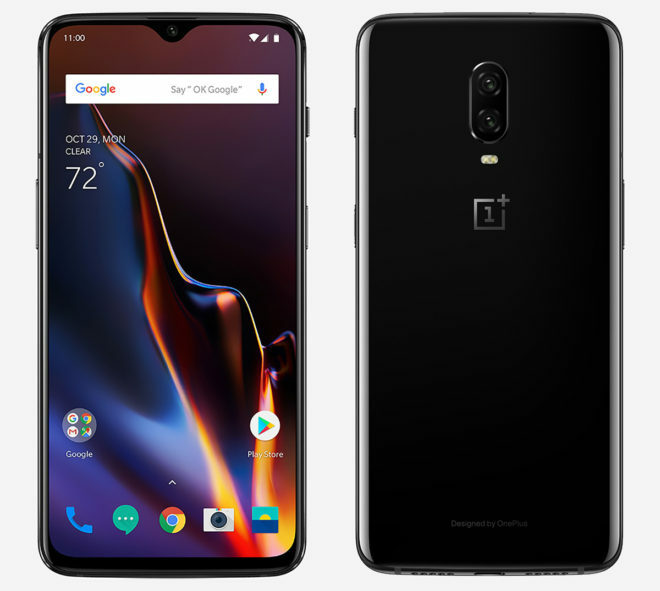 Have you taken advantage of T-Mobile’s OnePlus 6T promo yet? If not, will you be trying to get it before the offer ends tomorrow? Crud, I don’t get paid till Friday and I don’t have the extra cash to pay the $40-$50 tax on the device. Anybody have trouble trading in the original Nexus 6 to secure this deal? Maybe I can scrounge up the cash from somewhere. They took my Nexus 6. Taxes here in Ca were $50.50. Now I’ll be paying $11.67 for the next 24 months. $280.08 + $50.50. Nice, thank you. I had already blown my last pay check on bills and such before the device was announced so I had it all planned to go in there this Friday. Hoping I can secure this device for the 280 plus tax, def a sweet deal. They credited $40 of my trade-in in the store against the taxes. I walked out of there with my 6t, having given them only my Nexus 6 and $22.50. Pretty slick deal for a device I had just sitting in a drawer. I was in the same boat. I traded in my s7 edge and on top of the $300 I received $68 that went toward taxes here in CA and ended up walking out with the phone and paying $9.00 in taxes. Nice! I have the 3T now so I know what I am getting into but what do you think of the device so far? Same question to @PC_Tool:disqus as well? Awesome. It’s fast beyond what I was use to on android. I have a note 8 and it’s nice but the 6t was something I couldn’t let past as I had the s7 edge that I used strictly for gear VR but once I heard of the deal I had to jumped on it. The camera is great, made even better with the pixel camera apk for the op6, battery life is fantastic, great screen, 8gigs of ram, you know the story of all the great stuff. It’s future proof. Thank you. Just wanted to make sure there wasn’t anything that was like hey, what the heck is the deal with that, kind of thing. Your welcome. Call tmobile and see if they will do something for you like start the process now and continue it on Friday. I love mine. Best phone I’ve had in years. Well, looks like I am out of luck for this deal. Because my pay period schedule, I knew I would not have the cash to pay the bill by the 3rd of this month so I had set up payment arrangements to pay my bill once I got paid Friday. This prevents losing service while I wait for the check to get in the back. So, unless I pay my bill today, I will not be able to purchase the device. I tried at least. Hoping for a great holiday deal for existing customers now, which does not include a requirement to switch plans or add a line. Have a great day everyone. You should go to a store tell them your situation,tell them you will write them a check,and see what they tell you,the worst they could tell you is no. Also don’t forgot black friday is coming so is cyber monday. tmobile don’t take checks in store! You can ask them to apply the taxes to your bill, that’s what I usually do, due to my pay periods. I was going to do it and then i saw that they charge $25 sim card fee along with taxes it came out to $625 to get the locked down non beta version. I can get directly from OP for $579. I guess if you have a phone that’s not worth 300 or 400 it might be a good deal. Okay so i tried to J O D my S9+ and use a Iphone 7 plus as a trade in. i was told that’s not possible , the 7 plus was paid off and in excellent condition , so i wound up just Jumping my S9+ for the 6T No 300$ Discount ……..can anyone chime in on this …..? You try to trade in Iphone +7,for the credits and they told you no? I would of gone to another store or just call 611. Matter of fact I would write a letter,cerity mail,to customer service,see what they tell you.Also depends what phone is worth more, 9+ or iphone 7+. Maybe too many took advantage and they’re cutting it. The OnePlus does not seem to be on T-Mobiles site any longer. I was one of the first 100 to get a OnePlus One in a contest so mine didn’t cost anything. It’s been sitting in a drawer. I’m glad I can get $300 out of it and then I’m going to sell the 6T on Ebay.